This version is out of print. Amaray packaging. 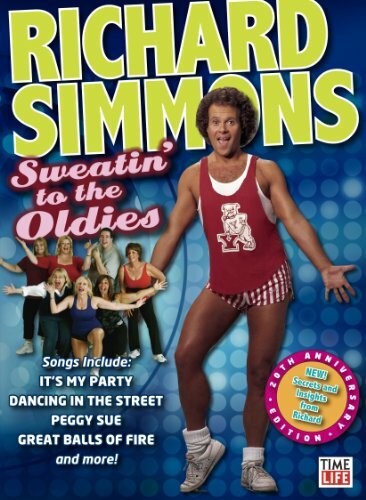 The 20th Anniversary edition of Sweatin to the Oldies is Richard Simmons classic workout from the late 80's available for the first time on DVD and including sixty minutes of brand new bonus material! It's a breakthrough exercise DVD that combines classic Rock 'n' Roll music from the 50's and 60's with energetic dance moves. Songs include: It's My Party, Peggy Sue, Dancing in the Street, Great Balls of Fire, He's a Rebel, Personality, Wipe Out Ain't No Mountain High Enough, On Broadway, and Beyond the Sea. If you have any questions about this product by Time Life, contact us by completing and submitting the form below. If you are looking for a specif part number, please include it with your message.